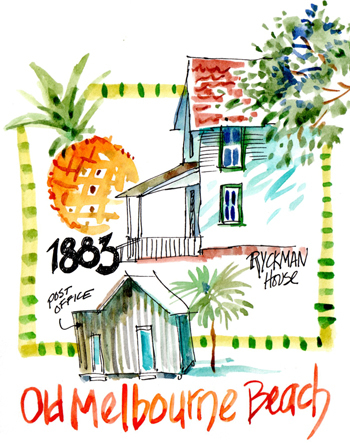 The historical village of Melbourne Beach will be our studio as we search for visual treasures to add to our on-the-spot journals. Don't fret! Because students of all levels can easily learn my simple "tip & tricks" that enable every student to create a charming illustrated journal quickly. I've kept illustrated journals for 40 years and love to work with each student’s artistic level and style to insure each journal is unique. So come join us for a day of fun in the sun and lunch on the beach. E-Publishing Workshop - Don't miss it.